The next great leap in human evolution will come from a recognition and awareness of the many aspects of the self. 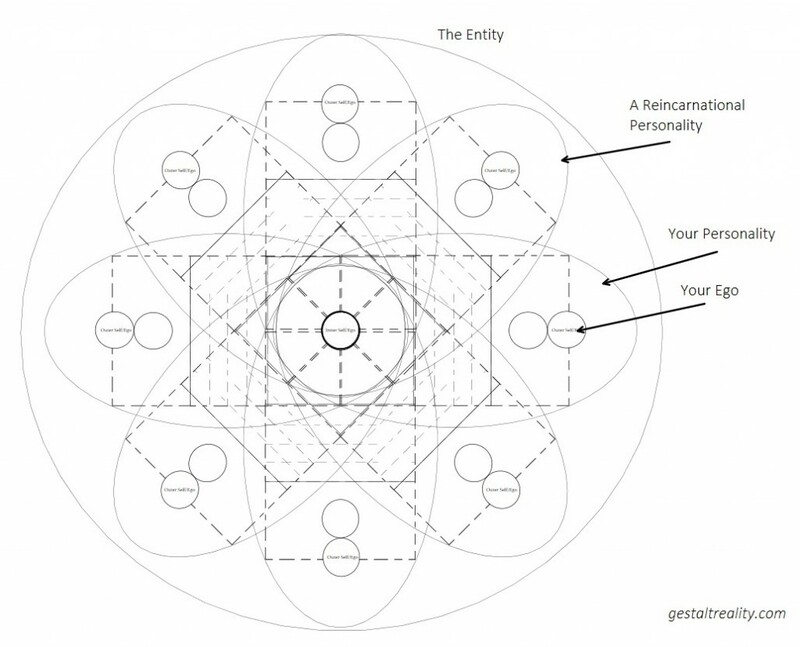 The following is a visual road-map of the many different dimensions that encompass who we are as unique individuals. Most of these aspects are beneath everyday awareness and require journeying into the self as a discovery process and subsequently expanding the ego to encompass awareness of them. The information in this post is summarized & paraphrased from The Seth Material. The entire material totals over 7000 pages spread across 20+ books and can be a daunting task to read. This should provide a helpful overview. In most spiritual systems the term soul, spirit or mind are ambiguously used to describe the non tangible aspects of self. However that language is extremely limiting and creates serious problems in understanding the important differentiation about what the nature of the self really is. The self is one thing composed of multiple things in a multidimensional fashion layer upon overlapping layer. The divisions are somewhat arbitrary and distortive, nonetheless they are a useful way of navigating and making sense of the various aspects of the self. All reincarantional personalities exist simultaneously for time is an illusion. Reincarnational selves unfold outwards from the central inner self to infinity much like a flower that never stops growing. Certain subconscious layers connect one personality to another. Communication between the various aspects of selves happens primarily via dreams, emotions and intuitions. Awareness and growth in these areas is critical to spiritual development. The thinking “I am” intellect is merely a portion of the outer ego. Seth refers to consciousness as a “gestalt of patterns of perception”. The following then would be the patterns. The Entity – A gestalt or grouping of the present personality and all reincarnational selves sharing the same Inner Self/Ego. The term “entity” in the context of The Seth Material is synonymous with the term “Oversoul” (term used by Jane). The Inner Ego – Also referred to as the “Inner Self” or “Source Self”. This is your core self. This is the source of your inner most intuitions & creativity. The Personality – This is the unique you, separate and distinct from your other reincarnational selves. Also known as the current “Incarnational self”, “Psyche” or very loosely as the “Soul”. Reincarnational Selves/Personalities – This includes past and future selves; physical and non-physical. There is a potential for a near infinite number of these. 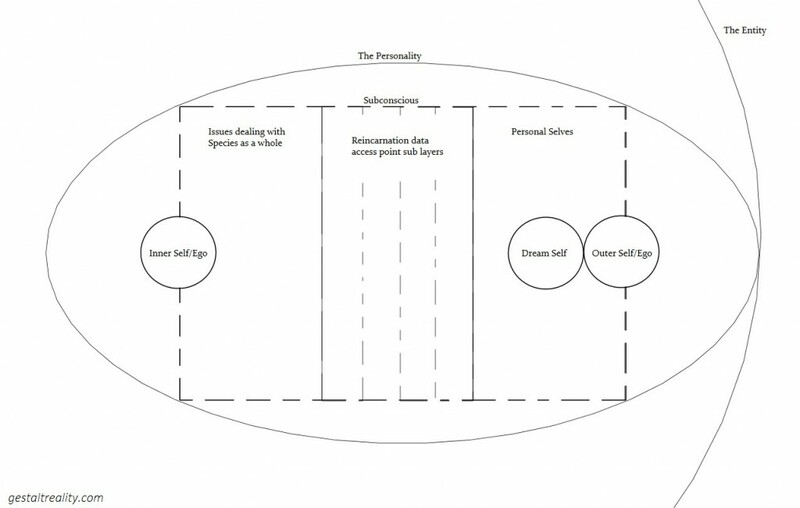 Probable Selves (not shown on picture) – These would be additional layer selves that grow out from each individual personality. The Subconscious – While technically not a “self” it is the layers of information that connects you with all other aspects of your self, as well the as the rest of All That Is. The Dream Self – This self is your sleeping counterpart which constructs the dream universe and looks inward through the subconscious to the inner self. Jane Roberts coined the system “Aspect Psychology” to describe these various selves. Much like ancient understandings of archetypal divinity, divinity was understood to be something with multiple aspects. These multiple “gods” or personalities were merely aspects of a greater underlying unity. Seth describes two primary ways to facilitate communication between the ego and the other various aspects of the self. Emotional Mastery – Most inner communication occurs via emotions. Our deeper intuitions arise from inner emotional impulses. Becoming aware of our emotions and how they move/change is important. Dream Mastery – Our dreaming self is in direct contact with the subconscious and deals with information on a more archetypal/symbolic level. Understanding emotions and the symbolic forms they take on in our dreams here are critical for understanding what the dream self is trying to communicate to the waking outer ego. “Many of you keep searching for some seemingly remote spiritual inner self that you can trust and look to for help and support, but all the while you distrust the familiar self with which you have such intimate contact. You set up divisions between portions of the self that are unnecessary. Some correspondents write: “I realize that I am too egotistical.” There are many schools for spiritual advancement that teach you to “get rid of the clutter of your impulses and desires,” to shove aside the self that you are in search of a greater idealized version. First of all, the self that you are is ever-changing and never static. There is an inner self in the terms of those definitions, but that inner self, which is the source of your present being, speaks through your impulses. They provide in-built spiritual and biological impetuses toward your most ideal development. You must trust the self that you are, now. “The soul or entity is highly individualized spiritual energy. It forms whatever body you now wear, and is the motive power behind your physical survival, for from it you derive your vitality. Consciousness can never be still, but seeks further creativity. “The soul, therefore, or entity, endows three-dimensional reality, and the three-dimensional self with its own properties. The abilities of the entity lie within the three dimensional self. The three-dimensional self, the actor, has access to this information and to these potentials. “Entities or souls, in other words, send out portions of themselves to open up avenues of reality that would not exist otherwise. The three-dimensional selves, in existing within these realities, must focus their attention there completely. An inner awareness gives them a source of energy and strength. “Each physically oriented self feels thrust alone into a strange environment, without knowing its origins or destination or even the reason for its own existence. This is the dilemma of the ego, particularly in its early states. It looks outward for answers because this is its nature: to manipulate within physical reality. “It also senses, however, a deep and abiding connection that it does not understand, with other portions of the self that are not under its domain. It is also aware that this inner self possesses knowledge upon which its own existence is based. “As it grows, in your terms, it looks outward for confirmation of this inner knowledge. The inner self upholds the ego with its support. It forms its truths into physically oriented data with which the ego can deal. It then projects these outward into the area of physical reality. “…the inner self has at its command a knowledge of past lives and past endeavors; for the inner self, dear friends, these lives are not in the past, nor is the life of the ego necessarily present to the whole self. “The inner ego, however, you may think of as another face that looks inward. We are using an analogy, and an analogy that is for simplicity’s sake only. We may say therefore, starting from the outer environment, that you would have first of all what you consider the ego, which I will call the outer ego. Then, according to our analogy, you will find the subconscious areas; and these areas may be, briefly, differentiated in the following manner. The foremost or exterior layers or areas deal with the personal selves. Beyond these you will find areas dealing with previous experiences having to do with your own past lives. Within the next area you will find material dealing with the [species] as a whole. Each of these areas are separated, and between the memories of each past life, experiments will show a layer that we call undifferentiated. “The inner ego is formed about characteristics and abilities that have been dominant in previous personalities, characteristics which the entity has developed through its experience in various lives. The inner ego is focused inward, with as much intensity as the outer ego is focused outward. This inner ego is in many respects a composite, as indeed to a lesser degree the outer ego is a composite. The inner ego, however, while conscious of itself, has returned to a subjective position within action, and views itself as a part of action. The outer ego, if you recall, views itself as apart from, or separate from, action. The inner ego contains the various purposes toward which the entity, as seen in its various personalities, has been working to achieve. The inner ego has experienced, then, objectivity, and has returned to a subjective state. It is a relative storehouse of energy, and it is capable of aiding the outer ego when certain conditions arise. The inner ego may be termed the unfamiliar “I”. In many cases it is the I who dreams, bringing valuable information to the personal subconscious, information that may be then used for the benefit of the outer ego itself. I have often said that all these divisions and separations are arbitrary. All exist one within another. Apparent boundaries are not boundaries, but only differences in the focus of attention. Even this inner ego is not the same from one given moment to another, for it is not a static thing, but is a part of continuing action. It is much more familiar with the subconscious and with the dream universe, and with the inner self, than it is with the outside ego, however. To some extent it also acts like a director of experience and action. It is not actually composed of the past egos, but of those dominant aspects of the various personalities. The inner ego, as action, thrusts in an inward direction; that is, back toward the originating impulse. The outside ego thrusts outward. They are two faces, therefore, and form one of many spheres of action, one pulling inward and one outward. As the outer ego is constantly creative, so is the inner ego. The focus in which the creativity occurs is merely different. The subconscious could be thought of as a nucleus, surrounded by the inner and outer egos. Certain tensions are maintained here, and all communications, incidentally, are the results of tensions. Tension is action’s inherent impulse to know itself through further action. All actions are the result of tension. Without tension there would be no existence. Tension therefore is a creative state. A lack of understanding concerning tension will always lead an organism to fight against itself. …The inner ego, however, through the subconscious, may at times encourage the development of abilities that will better allow the whole self to achieve balance and fulfillment. “The ego is only one layer of the self that has self-consciousness. Being self- conscious, the ego attempts to be conscious only of itself. Self-consciousness results in an intense, but necessary limited focus. It necessitates boundaries. It depends upon some sort of inner psychological decision as to what will be considered self, and therefore accepted by consciousness, and that which will be considered notself, and not accepted by consciousness. They cannot be consciously aware of each other. Now the ego interprets all it perceives mainly in terms of its self. Other portions of the self, also self- conscious, interpret what they perceive in terms of themselves. Each layer, or each area of the whole self, imagines that it is the center of awareness, and that the whole self revolves about it. So far you have had little experience with these other “centers”—but before too long we shall give you some ideas so that you may become at least slightly acquainted. Initially this will be done through suggestion on a subconscious level. There are other self-conscious portions of the self however, with which the ego is not at all familiar, but of which the subconscious has intuitive knowledge. These self-conscious portions of the self exist in different reality systems. “The ego is a very specialized portion of your greater identity. It is a portion of you that arises to deal directly with the life that the larger You is living. The ego can feel cut off, lonely and frightened, however, if the conscious mind lets the ego run away with it. “In certain terms, the ego is the eye through which the conscious mind perceives, or the focus through which it views physical reality. But the conscious mind automatically changes its focus throughout life. (So) the ego, while appearing the same to itself, ever changes. The fact is, that any given self, as we have described the self, may have more than one ego, though these egos will not be aware of each other, even though operating simultaneously. You have information on the inner ego. There is also a dream ego, in that there is within that reality field a directive part of the self that is concerned with the construction of purpose and meaning. “Now. Some personalities can be a part of more than one entity. This is something I do not believe we have discussed before. “In almost the same manner some personalities are more remote from the entity than others. They may even move out further into another psychic organization that offers more promising development, or to them a more pleasing psychological climate. “Scientists realize that the atmosphere of the earth has a distorting effect upon their instruments. What they do not understand is that their instruments themselves are bound to be distortive. “Any material instrument will have built-in distortive effects. The one instrument which is more important than any other is the mind (not the brain) . . . the meeting place of the inner and outer senses. “The mind is distributed throughout the entire physical body and builds up about it the physical camouflage necessary for existence on the physical level. The mind receives data from the inner senses and forms the necessary camouflage. “The brain deals exclusively with camouflage patterns, while the mind deals with basic principles inherent on all planes. The brain is, itself, part of the camouflage pattern and can be interpreted and probed by physical instruments. The mind cannot. “The mind is the connective. 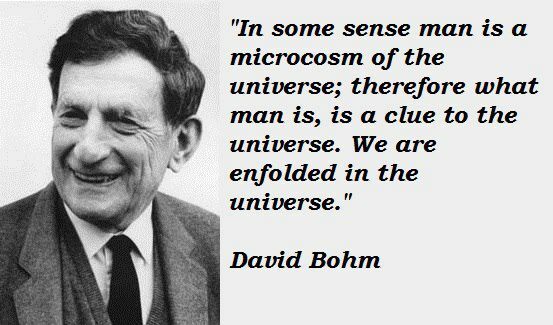 It is here that the secrets of the universe will be discovered, and the mind itself is the tool of discovery. * While I use terms like soul or entity, inner self, and present personality, I do so only for the sake of convenience, for one is a part of the other; there is no point where one begins and another ends. * The inner self is embarked upon an exciting endeavor, in which it learns how to translate its reality into physical terms. * The inner self is not only conscious, but conscious of itself, both as an individuality apart from others and as an individuality that is a part of all other consciousness. * Your inner self adopts the physically conscious, physically focused mind as a method of allowing it to manipulate in the world that you know. * All energy at the inner self’s disposal is concentrated to bring about the results asked for by the conscious mind. * All of the powers of your inner self are set into activation as a result of your conscious beliefs. * Your inner self brings about your desire, but also considers it in the light of your entire life situation, so that it comes about in the best way – and time – possible. * It appears to you that a difference is worked when you exchange a poor physical symbol for a constructive one. The change of course comes before this in the inner self. The physical being simply uses the physical system as a checking board. * You say, “I don’t want any of this.” The inner self realizes, however, that potentials are present that would not necessarily be present under other circumstances. * When the inner self is alerted (to a problem), it will immediately try to remedy the situation by an influx of self-corrective measures. * On occasion, when a problematic situation gets out of hand, the inner self will bypass those restrictive areas of the conscious mind, and solve the problem by shooting forth energy in other layers of activity. * The inner self is not remote – not divorced from your most intimate desires and affairs, but instead communicating through your own smallest gesture, through your smallest ideal. * You are meant to understand the nature of your inner self and to manifest it outward. As this is done, the exterior circumstances should change for the bet¬ter. * True strength is the result of excellent communication between the outer self that faces the world, and the inner self that looks inward. * That inner self, dear friends, is constantly being born.